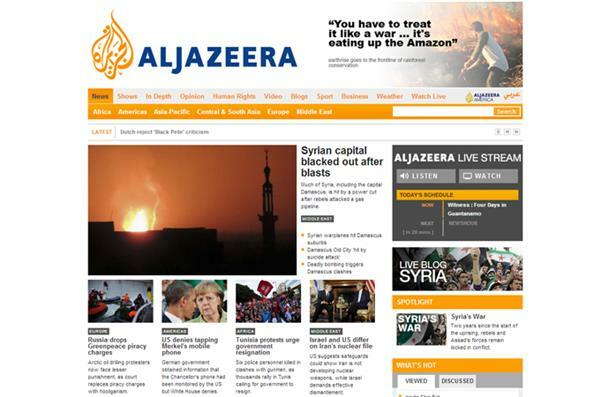 Associated Press, citing SANA, reports that a number of people have been killed and wounded in Jaramana. Rebels have previously targeted Jaramana, a Christian and Druse area mostly loyal to President Assad, with bombings and mortar rounds. Assad has drawn support from Syria's ethnic and religious minorities,including Christians and members of his Alawite sect, an offshoot of Shia Islam. The rebel movement is dominated by Sunni Muslims, who are a majority in Syria. According to local Lebanese TV, the nine Lebanese released hostages will return to Lebanon on board a private Qatari jet, accompanied by the Qatari foreign minister and the head of Lebanon general security Abbass Ibrahim. Shelling and explosions can be heard here at the checkpoint between Jaramana and Mleha in this you tube video. Nine Shia pilgrims from Lebanon abducted in Syria last year have been freed as part of a negotiated deal, officials have said. "The Turks and Lebanese expect the return of the Lebanese pilgrims and the release of the captured Turkish pilots all within the next 24 to 48 hours," Al Jazeera's Andrew Simmons said reporting from Beirut. Many of Qatar's websites shut down by a group of hackers supporting Syria's government. The group behind the attack is said to be the Syrian Electronic Army. The plane carrying the nine hostages have arrived at Beirut's international airport. There were two airstrikes on Tafas town, 10 km north of Daraa city. No casualties reported yet. 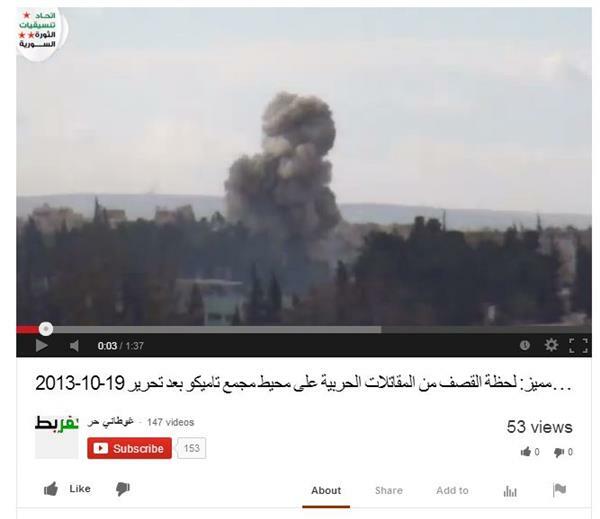 Al Jazeera cannot independently verify this activist video. Shelling on al-Rastan town, a rebel stronghold in the northern countryside of Homs, no causalities reported as residents from the area have fled. Arab League chief Nabil Elaraby said Sunday that a key international conference aimed at ending Syria's civil war will be held in Geneva. The announcement comes after talks with Arab League UN envoy to Syria Lakhdar Brahimi who has been touring the region in a communication effort that hopes to bring different voices and sides to the table. "The conference cannot take place without the presence of the opposition which represents the majority of the Syrian people who oppose the regime," Brahimi added. The Geneva conference will attempt to get opposing sides to agree on a transitional government in Syria based on a plan adopted in June 2012. A suicide bomber blew up a truck packed with explosives at an army checkpoint in Syria's central city of Hama. At least 30 people have been killed. "At least 31 people, including regime troops, were killed when a man detonated a truck laden with explosives at a checkpoint near an agricultural vehicles company on the road linking Hama to Salamiyeh," the Syrian Observatory for Human Rights said. UN-Arab League envoy Lakhdar Brahimi will visit Tehran next week for talks to prepare for a proposed peace conference on Syria, Iranian state media reports. The official IRNA news agency reported that Brahimi would arrive in Iran on Saturday to "prepare the ground" for Syrian peace talks that could be held in Geneva next month. 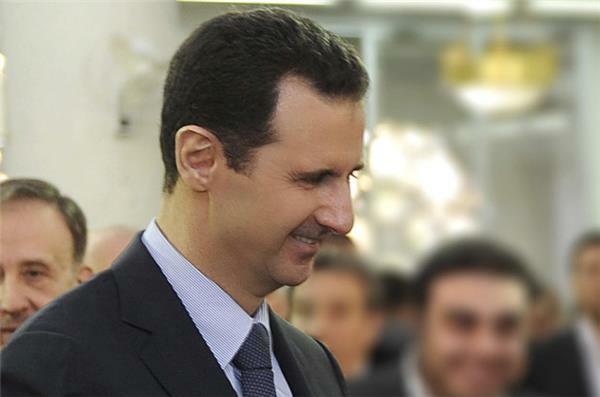 Syrian President Bashar al-Assad, who is fighting a 2-1/2-year revolt against his rule, said he saw no reason he could not run for the 2014 presidential elections, Al Mayadeen television station reported on Monday. US Secretary John Kerry says Syria's officials are still weighing whether to enter negotiations with President Bashar al-Assad to create a new government and end the nation's bloody civil war. Kerry spoke after meeting with opposition leader Ahmad al-Jarba on Tuesday and said he was hopeful that negotiations could begin as early as next month. Both Kerry and al-Jarba were in London meeting with diplomats from 11 Western and Mideast nations who are trying to reach a settlement. Syrian authorities have released 14 women detainees as part of a weekend hostage exchange but dozens of others are still being held, a prominent human rights activist said on Wednesday. The release of scores of female detainees held in regime jails formed part of the deal brokered by Turkey, Qatar and Lebanon. Among them was a cancer patient who had been imprisoned twice before and whose husband has been killed in Syria's 31-month-old conflict, said Nassar. "Another 128 women whose names were on the list have yet to be set free," she said. There has been no official comment in Damascus on the women detainees. 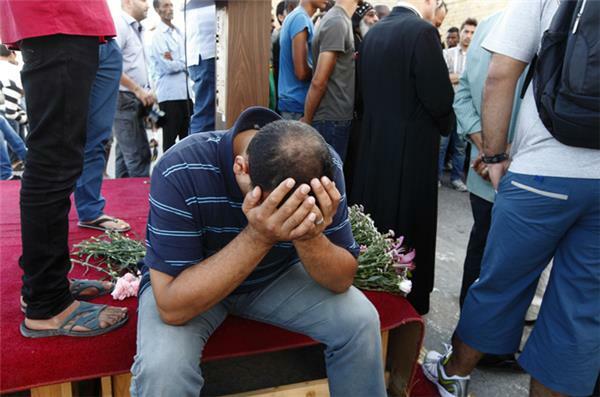 Two people were killed and 30 others wounded in a three-day gunfight in the Lebanese city of Tripoli between supporters and opponents of President Assad, a security official said on Wednesday. The violence has closed schools and sent families into flight. "Two people have been killed since Monday night. One of them was a 13-year-old child, the other a 32-year-old man. Thirty other people have been wounded," the official told AFP on condition of anonymity. 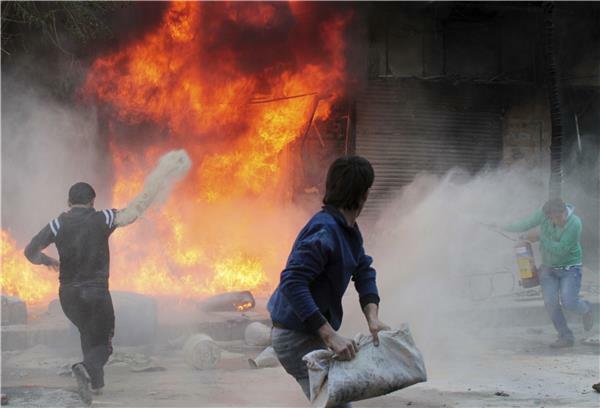 The clashes broke out on Monday night as an interview with Assad was being aired on television. The 13-year-old was from Jabal Mohsen, a majority Alawite neighbourhood in the northern port city of Tripoli whose residents support Assad. The man killed was from Bab al-Tebbaneh, whose Sunni inhabitants support the anti-Assad revolt in neighbouring Syria. The violence forced families from both districts to flee their homes for other areas of Tripoli, said an AFP correspondent in Lebanon's second city. Early on Wednesday, "gunmen from the two sides tried storming each other's districts", said the official. "The army fought them off, in a battle that raged at around 3:00 am (0000 GMT)." All Tripoli's schools stayed closed on Wednesday because of the violence. Major General Abbass Ibrahim is in Syria meeting with President Assad discussing the case of two Syrian Bishops that were kidnapped in Aleppo by armed rebels back in late April. Meanwhile, the head Maronite Patriarch Beshara al-Rahi was invited by Qatari Emir for a two day visit, the main discussion is the two Syrian Bishops return. Lebanese officials are pushing forward in helping secure their release. Fighters of Ansar Al-Sunna brigade (affiliated with the army of Islam) destroy a regime tank in Al-Safira city in Aleppo’s southern countryside, using a Konkurs missile. Al-Badiyah brigade fighters (also affiliated with the army of Islam) destroy a regime tank in Al-Sukhna city in Homs’s Eastern countryside, using a Konkurs missile published, on October 22nd. A Dutch court has found two men guilty of preparing to travel to Syria to fight with rebels battling to oust President Bashar Assad, verdicts prosecutors say will help other such cases in the future. Wednesday's convictions by a court in Rotterdam are the first in the Netherlands of suspects who wanted to join rebels in Syria's devastating civil war. The court convicted one suspect of making preparations for murder and another for preparing to detonate explosives. One of the suspects was sentenced to a year's imprisonment and the other was ordered to spend a year in a psychiatric hospital. Their full identities were not released. Prosecution spokesman Paul van der Zanden says the convictions clarify how best to prosecute people who want to travel to Syria to fight. The Syrian capital Damascus was hit by a power cut late on Wednesday, shortly after an explosion near the international airport, residents said. "The whole city just went dark," said a resident who lives in the centre of the city and asked to remain anonymous. 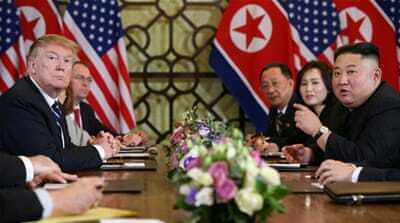 She said that she could see the "major glow of a fire" near the airport and the sound of heavy machinegun fire. The Syrian Observatory for Human Rights, a UK-based group that reports on abuses and battlefield developments using sources from both sides of Syria's civil war, said the explosion was caused by rebel artillery that hit a gas pipeline near the airport. It was not immediately clear why power was cut to the city. 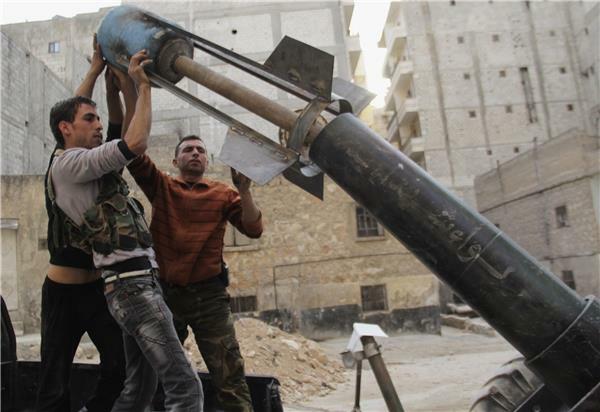 The Observatory said the rebel shelling was aimed at the town of Ghasula, a few kilometres from the airport. Much of Syria, including the capital Damascus, was hit by a power cut late on Wednesday after rebels attacked a gas pipeline, state media said. "A terrorist attack on a gas pipeline that feeds a power station in the south has led to a power outage in the provinces and work to repair it is in progress," Electricity Minister Emad Khamis told state news agency SANA. 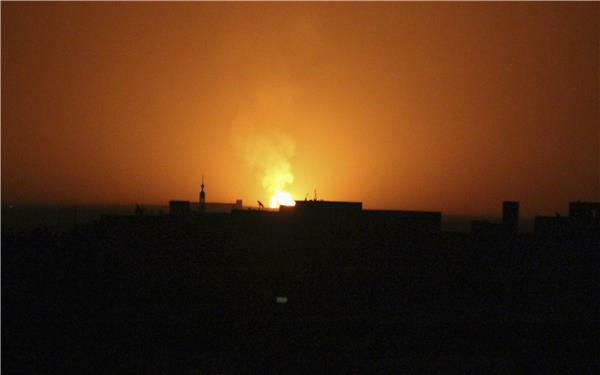 A resident in the centre of Damascus who asked to remain anonymous said "the whole city just went dark" and she could see the glow of a fire near the international airport and hear heavy machinegun fire. The Syrian Observatory for Human Rights, a UK-based group that reports on abuses and battlefield developments using sources on both sides of Syria's civil war, said the explosion was caused by rebel artillery that hit a gas pipeline near the airport. 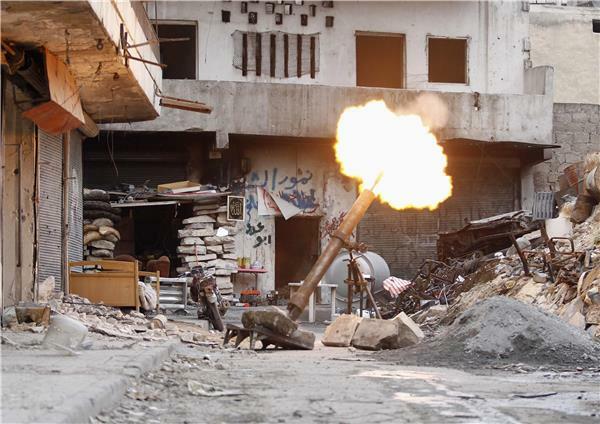 The Observatory said the rebel shelling was aimed at the town of Ghasula, a few miles (km) from the airport. It said residents of other areas of Syria, including coastal cities in the west and parts of Aleppo province in the north, were also experiencing power cuts. Syria is set to hand over a detailed plan for the destruction of its chemical arsenal by Thursday, days ahead of a UN deadline, the international watchdog said. But prospects for a peace conference, which the world body is trying to convene in parallel with the disarmament process, looked dim after key opposition leaders spurned efforts by Western and Arab powers to persuade them to attend. And on the ground violence raged unabated, with a rebel attack on a gas pipeline causing power outages across Syria and a deadly car bombing and shelling hitting Damascus. The Organisation for the Prohibition of Chemical Weapons said on Wednesday that the Syrian government was expected to hand over its disarmament plan within the next 24 hours. Fierce clashes erupted in Syria overnight between Kurdish fighters and self-proclaimed jihadists near the Iraqi border, the Syrian Observatory for Human Rights said on Thursday. "The clashes began around midnight [21:00 GMT Wednesday] and lasted around 12 hours, with the Kurds advancing in the direction of Al-Yaarubia, an area controlled by the Islamic State of Iraq and the Levant [ISIL] and other jihadist groups," the Britain-based monitor said. "The Kurds have managed to take two villages controlled by the jihadists but it will be difficult to capture Al-Yaarubia from ISIL," Observatory director Rami Abdel Rahman told AFP. The Al-Yaarubia border crossing with Iraq is seen as a key supply route for arms and fighters. ISIL has carried out attacks on both sides of the border. The Kurds and the jihadists have been fighting for control of northeastern Syria, an area rich in oil and wheat, for months. Rebels battled Syrian government forces earlier this week to retain control of a historic Christian town which fighters had stormed a day earlier, residents said. 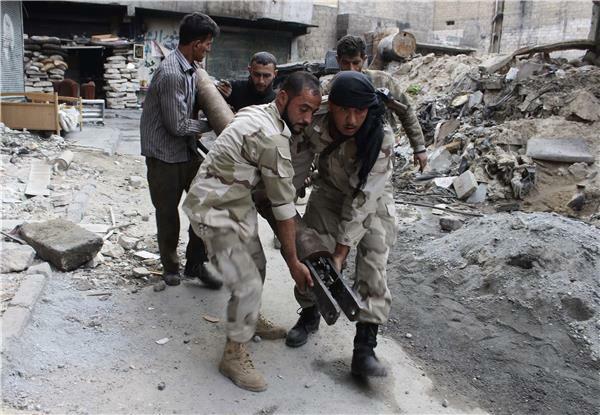 Syrian state TV showed video footage on Friday of an intense gunfire battle between the regular army and the rebels. 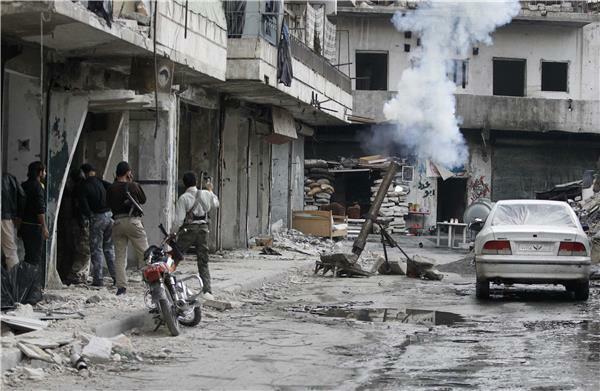 The town is located amid several villages that support the uprising against President Bashar al-Assad. It also lies next to several arms depots and opposition activists said the raid by al-Qaeda linked forces was for military reasons and not religiously motivated. Tens of thousands of people have escaped from the Al Safira district in northern Syria, fleeing non-stop heavy bombing in a "massive exodus", Doctors Without Borders (MSF) said on Friday. The non-governmental organisation, which has staff on the ground in the conflict-ridden country, said some 130,000 people had fled the district in the northern province of Aleppo, including almost all those who lived in the town of Al Safira. These add to the millions who have been driven from their homes since a brutal crackdown on Arab Spring-inspired protests in March 2011 escalated into a civil war that has now left some 115,000 people dead. "Faced with the magnitude of the needs of these displaced people, humanitarian aid is insufficient," MSF said in a statement. Some 3,000 civilians trapped in a suffocating Syrian army siege of rebel areas in the city of Homs need urgent food aid, a monitoring group and activists said on Friday. "Three thousands civilians, among them 500 aged over 70, are living exclusively off the little food that had been stored in the besieged districts of Homs," said Syrian Observatory for Human Rights director Rami Abdel Rahman. "People there are barely eating enough to survive," he added. For more than 500 days, hundreds of families have been living under a tight government siege of rebel-held areas of the Old City neighbourhood of Homs. The army in July recaptured the Khaldiyeh neighbourhood, and hundreds of people who had been living there for months fled for other neighbourhoods under rebel control. A car bomb near a mosque in the Damascus provincial town of Suq Wadi Barada killed and wounded several people, said a monitoring group and state television. Neither source gave a specific toll for Friday's attack in the town, which is located northwest of the capital. "A powerful blast shook the town of Suq Wadi Barada. It was caused by a car bomb near the town mosque. 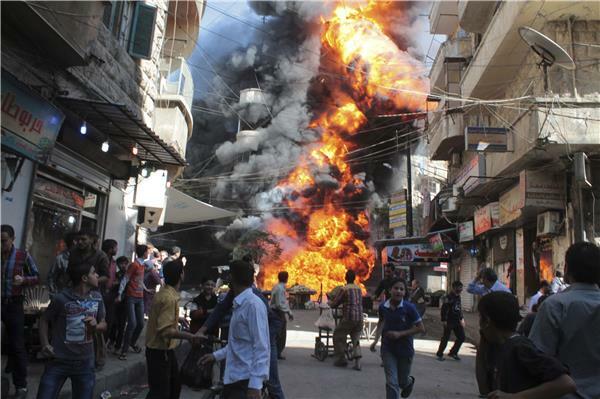 We have confirmed reports that several were killed and wounded," said the Syrian Observatory for Human Rights. Some of the injured were children, said Observatory director Rami Abdel Rahman, adding that while the town is under rebel control, loyalist troops are positioned right outside it. State television also reported the attack, blaming it on Al-Qaeda-linked "terrorists." "Al-Nusra Front terrorists detonated a car bomb near the Osama Bin Zeid mosque in Suq Wadi Barada in Damascus province. There are initial reports of people killed and wounded," the broadcaster said. 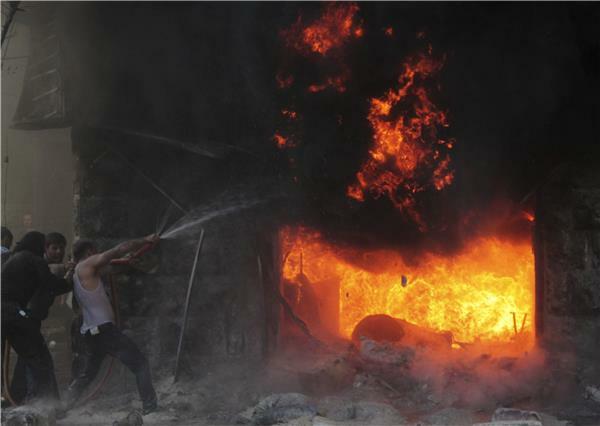 Car bombings have plagued several areas of Syria in recent months, killing scores of people. Hillary Clinton says President Obama's heavily criticized approach to the crisis in Syria WAS a response to a crossing of the red line. Number of refugees in #Lebanon passed the 800,000 mark this week. #Syria 's smallest neighbor hosts the region's largest share. The United Nations aid chief has demanded stronger action by the UN Security Council to get desperately needed aid into Syria, where 2.5 million people in need have not received help for almost a year. 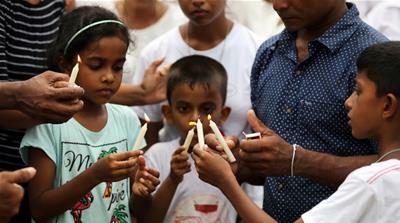 Valerie Amos, the UN Emergency Relief Coordinator, called upon members of the Council on Friday "to exert influence and take the necessary action to stop this brutality and violence". A Syrian activist group says Kurdish gunmen have captured a crossing point on the Iraqi border after days of fighting with rebels. The Britain-based Syrian Observatory for Human Rights says Kurdish fighters captured the Yaaroubiyeh post in northeast Syria on Saturday after three days of clashes with several groups there, including al-Qaeda-linked factions Jabhat al-Nusra and the Islamic State in Iraq and the Levant. The capture of the border point came hours after Syrian TV claimed that the leader of the powerful Jabhat al-Nusra has been killed. In #Syria 90% of hospitals 38% of health centres 90% of ambulances affected by the crisis. Access for humanitarian orgs+#UN Agencies vital. I dont tweet about Syria anymore b/c its pointless. My tweets arent helping Syrians. 40 ppl incl kids just died now in a bomb at a mosque. UN says diplomacy has failed to protect Syrian civilians and warns the ongoing civil war is preventing aid agencies from reaching people who desperately need their help. Al Jazeera's Bernard Smith reports. The UN-Arab League envoy to Syria arrived in Tehran on Saturday for talks with the foreign minister of Iran, a top ally of the Damascus regime, Mehr news agency said. Lakhdar Brahimi is pressing a tour in the region to drum up support in preparation for an international peace conference on Syria, which may take place in late November. In Tehran, Brahimi is to hold talks on Saturday with Foreign Minister Javad Zarif, whose government is due to be invited to the talks dubbed Geneva 2. Australia's former foreign minister urged the government to consider barring Australians who fight in Syria from returning home. Security officials fear Australians are being radicalised through fighting in Syria and will heighten the terrorism threat in Australia. Bob Carr was foreign minister until the former Labor Party government lost power in an election last month. He told Australian Broadcasting Corp. on Monday that as minister, he had been advised by his department that preventing Australians from returning from the Syrian civil war would be illegal because it would leave them stateless. Carr urged the new government to seek a legal option. "Australians are right to be apprehensive about people whose fighting skills have been honed there who seek to return to Australian full of murderous ideological bent,'' Carr told ABC. "We should continue to explore whether blocking the return of people is remotely available to us as an option,'' he added. A 35-year-old man was killed in the southeastern Turkish town of Ceylanpinar early on Monday when a stray mortar shell fired across the border from Syria struck a house near the frontier, security sources said. The shell was fired during clashes between Kurdish and Islamist fighters in the Syrian town of Ras al-Ain, the sources said. Five people have now been killed in Turkey in similar incidents since clashes began in the area in July. Authorities closed schools in the town and warned locals not to leave their houses after the shell landed. In October last year a shell fired from Syria hit the Turkish border town of Akcakale, killing five Turkish citizens.